From lightening to blowdrying and adding waves with hot tools, it's safe to say I'm no stranger to the potential for hair damage. 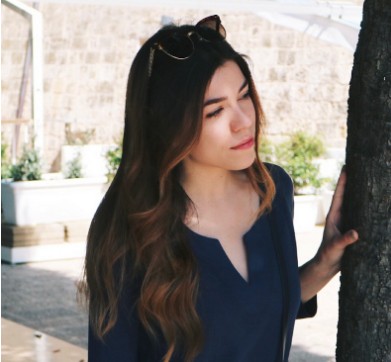 I've shared styling tips with you in the past, but today I'm highlighting all of my favorite products for keeping my hair healthy and happy, while making it easy to style. I like to alternate my shampoos and conditioners every few months, but I almost always choose between the same few brands. 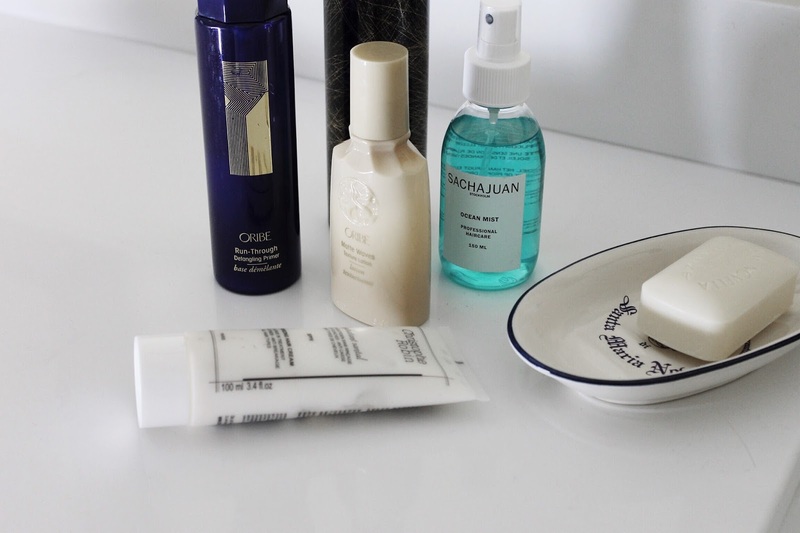 I am very much into Oribe and Christophe Robin (as you will learn) for cleansers, as they always leave my hair swishy, soft, and with the most amount of volume possible. 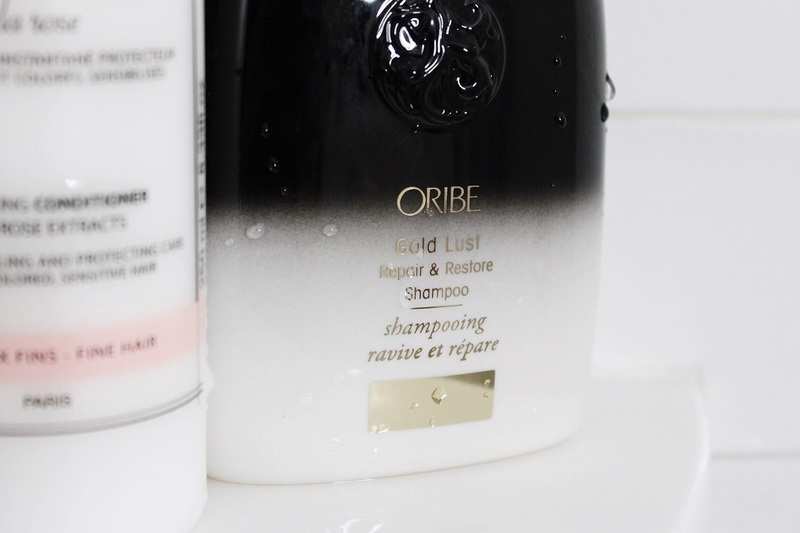 The Oribe Gold Lust Repair & Restore Shampoo and Conditioner are such an incredible duo that nurture hair that is dull or fragile from damage. While my hair isn't too visibly damaged, I do get balayage color and heat style - so stopping issues before they occur is always on my agenda. For my heavy hair, I sometimes need serious products to give me back the volume I want - but I don't want to compromise on hair health. This is exactly why I love the unique Christophe Robin Cleansing Volumizing Paste. This dark, thick paste contains Rassoul mineral clay and rose extracts, and transforms into a foamy gently scrub upon contact with wet hair. I typically really work this into my hair, making sure to cleanse thoroughly so that I'm left with lifted roots and vibrant color - which, by the way is an effect of this product. 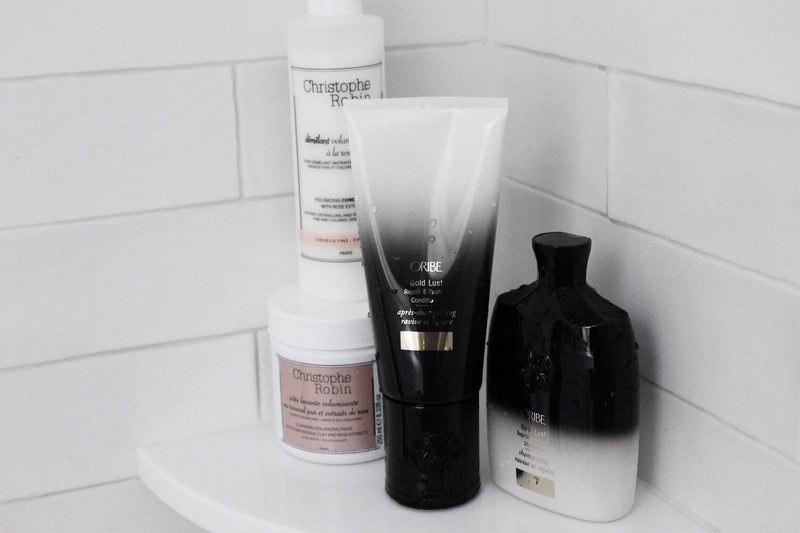 When I use this, I follow up with a lightweight, but ultra nourishing conditioner, specifically, the Christophe Robin Volumizing Conditioner with Rose Extract. It doesn't hurt that this duo leaves your hair smelling like you just bathed in roses 😍. Before truly identifying my hair type, I always struggled finding primers, detanglers and oils that wouldn't weigh down my hair. Over the past years and countless visits to hairdressers, I've learned that I have a lot of really fine hair, which means with my thick hair, my roots already have enough weight to hold up on their own. 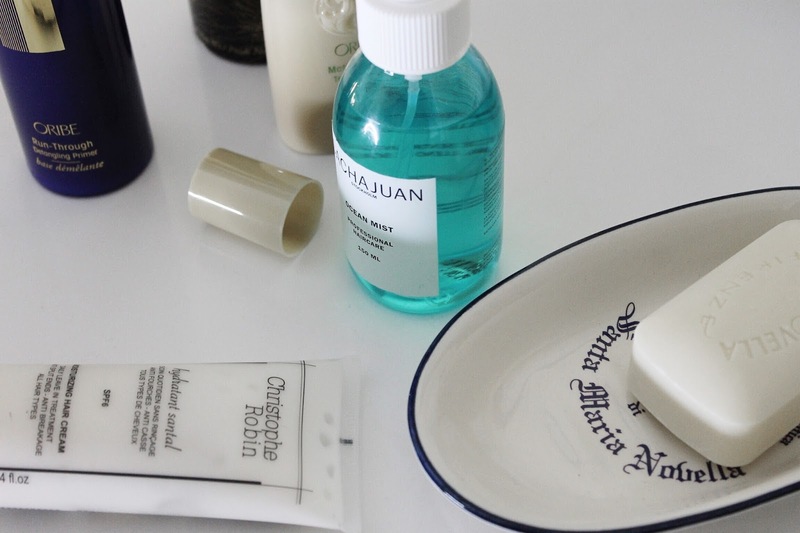 I can't use heavy products; so I've really grown fond of lightweight leave-in conditioners and moisturizing products that I apply only to the ends and dry areas that need an extra dose of health. 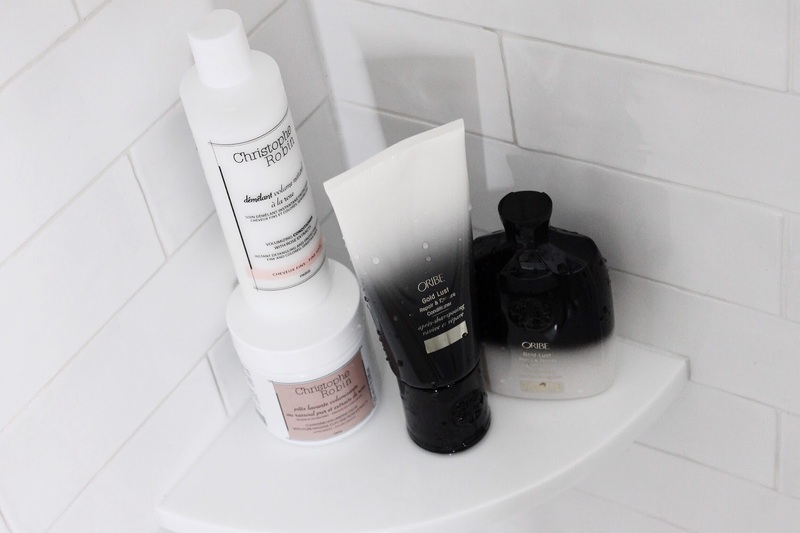 I love using the Oribe Run Through Detangling Primer when I get out of the shower to give my hair a bit of prior to brushing; it helps prevent breakage. Coating your hair in a moisturizing product prior to heat styling is also a good idea, as it helps to protect the strands and keep the hair soft. 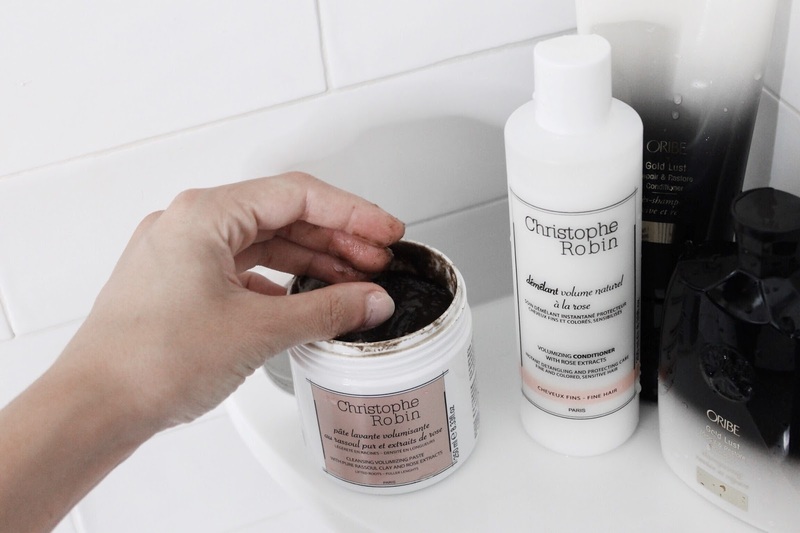 After styling, I always add a dime-sized amount of the Christophe Robin Moisturizing Hair Cream to the mid-lengths and ends of my hair. This product feels like real lotion for your hair, and doesn't alter hair color with added alcohol or chemicals. It also boasts a light dose of SPF, so that you can prevent color from fading in the sun as well. As I mentioned, if I use the wrong styling products, I'll end up with limp hair that feels dirty. My favorites are dry texturizers, salt sprays and light lotions that help to absorb (not add) too much oil to my hair. My favorites are the Oribe Dry Texturizing Spray, Sachajuan Ocean Mist, and Oribe Matte Waves Texture Lotion. I don't typically use all three at once, but I do love the look I get when I use a bit of texture lotion and ocean mist together. What products help keep your hair looking its best?